And, once you finish making some duct tape feathers for our world’s largest wings duct tape party, you can make some on a smaller scale to wear as Duct Tape Feather Earrings from Tip Junkie. · Make note taking exciting! · Add color to school supplies! · Switch between fun styles for each class! · Match patterns and colors to your folders! · Great for party favors too! · Show off designs you create yourself! · Create a variety of style from rebellious to glam to girly! · Perfect for holding school supplies and lunch money! · Mix-n-match crazy fun patterns to create a custom look! · Make different ones for each subject! COME JOIN IN THE FUN – ALL THE DETAILS ARE OVER HERE! Charity Wings is hosting this year's event, which provides much-needed shoes and clothes to San Diego's foster youth, just in time for back-to-school. You can make a duct tape feathers for the "world's largest" wings, which will be on display for photo opps. You can also try your hand at tie-dye with Nature of Art For Kids. It's fun for the whole family - hope to see you there! Hopeless romantic? This project is perfect for you! A pocket in a hand made bag holds love letters that are bundled together with ribbon. Open the drawstring bag to reveal a special book made to hold romantic notations and tokens of endearment. As you unfold the layers of stitched love interconnected envelopes and pockets, a love story unfurls. Inside you will create, fluffy lavender filled hearts with terms of endearment sewn onto them, tokens and baubles to attached as a reminder of the beauty, grace and truth in love. We will provide most of the supplies and a beautiful lunch to spend with Ruth Rae and your new friends. We will have vintage style buttons and trim but if you have special pieces you want to use, feel free to bring them to make your project even more special! Ruth Rae has the incredible talent for combining her deep love of treasures from the past with cutting edge trends of today. Ruth is known for her amazing jewelry creations that are tales on their own as well as her mixed media fabric work that combines textiles, words, and found objects. Her artwork is recognized for it's time worn appearance that she achieves by creating layers of new and old leading the viewer feeling as though they are taking in a creation from long ago. Ruth's pieces have graced the covers and pages of many books and art publications as well as DVD's and television. Ruth aspires to motivate and inspire others to follow their dreams through both her artwork and teaching. To learn more about Ruth's art and life visit her website. Log in here at class time to join us. If you aren't a member, click here to join starting at only $10 per month. Our free monthly online classes are just one of many membership perks! Click HERE to learn more about the Charity Wings Art Center Membership! Join Terri Sproul as she helps bring out your inner fashion designer. You will start with an 18' paper mache dressform to embellish as you’d like using any of the paint, fabric, paper, and embellishments at the Art Center. Terri will be to help you out with ideas and techniques. Terri Sproul is the force behind a fun paint called “Terri Sproul Mixers” from Sakura Hobby Craft and of a DVD called "MasquePen Magic" to see more of her video check out her Youtube Channel and her Tuesday Night Live stream. Terri is a diverse and experienced designer, design team leader and instructor for multiple companies in the paper craft world including “ Robin Nest” “Creative Paperclay®”, “Sakura Hobby Craft” and Amazing Mold Putty ”. She has received a Bachelor of Scrapbooking Arts from Creating Keepsakes and Bachelor of Scrapbooking Education from EK Success. Terri’s passion is teaching fellow scrapbookers and stampers new techniques. Be sure to check out her website and blog to see more great ideas. Register for Terri’s class here. Raising money for The Charity Wings Art Center Programs! A weekend with Rachelle Panagarry and Jamie Dougherty! Sign up for one or both classes! Class One with Rachelle Panagarry: Saturday 9 am to 1 pm. Class Two with Jamie Dougherty: Saturday 2 pm to 6 pm. Scroll down for information on each class. One class is $110 for members, $125 for non-members. Two classes are $179 for members, $199 for non-members. For your registration price, you get: the class(es), a beautiful Art Chic(k) tote bag with lots of goodies, and special handmade gifts as well as a Happy Hour party on Saturday night with cocktails, appetizers, a silent auction and shopping! This event begins on Friday night at 5 pm with check in and bonus prep time. Note: if you’re unable to make it Friday night, no worries! You can still do your prep during your chosen class(es). How far you get on your project(s) is dependent on your pace. This is meant to be fun and relaxing so we are teaching you the techniques used in each project. Sunday is Open Studio time and each person that signs up with get a free open studio pass to finish your projects. This can be used on Sunday with Rachelle and Jamie there, or another time. The majority of your class supplies are included thanks to our Amazing Sponsors! A supply list will be posted soon. Create this amazing Magically Mixed-Media Box by Rachelle Panagarry. We will start with an introduction to using wood burning tools, with safety guidelines and procedures, and also find out about the different methods of mark making on the wood with the different tool fittings. We will also explore how to transfer patterns from paper onto the wood using carbon paper or tracing papers. You may wish to try the lettering around the edges of the box and add colour to the edges of the box. Students will be provided with a portrait template by Rachelle. We will start by painting the face with acrylic paint in chosen flesh tone (mixing guidance provided byRachelle, plus paper reference) Once the face is dry, it will be covered in a layer of PVA and a sheet of mulberry paper will be laid on top of the glue. Once this is dry, we will use the water-color paints to get the fantastic 'bleed' effect. Rachelle will guide students through shading and allowing the paint to work to create the bleed - including how to rescue if too much water is added. After drying, the face it cut out and put to one side for later. You will also learn how to use wood burning for future projects, by creating your own stencils using the 'stencil burner' tool. These stencils can be used in later art journalling or even for home renovation projects. On Sunday we will scan everyone's project and print 6 cards for you to trade with fellow student with your beautiful art! Would you like to create your very own Bloom Girl decor piece. Using duck cloth and a few art mediums you will learn all you will need to create your one of kind masterpiece. Besides painting your Bloom Girl you will also get to use the new Prima Sizzix dies to accent your pillow with layers of fabric. Top it all off with Prima flowers and buttons. Sunday we will use sewing machines provided by Sewing Machines Plus to sew your project into a decorative pillow or onto a pre-made tote bag! Don't miss out - classes are filling up fast! Register now and join us for this fun weekend! Use the space at the Art Center to spread out and create, if you have been thinking about becoming a member this will be a good introduction for you at the Art Center. There will be a new technique or fun make&take available each evening. Dessert and beverages will be provided. 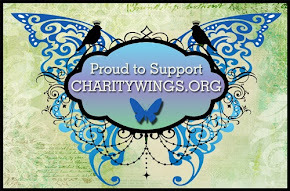 Are you a Charity Wings Art Center member? Sponsored by Stone Brewing Co.
Join artist Amy Burkman as she teaches you step by step how to paint this gorgeous ocean scene. All supplies and 3 drink tickets are included. Learn how to draw a forward-facing face from scratch. By learning some very basic formulas and techniques that are commonly used in the fashion industry, you will be able to draw a generic female face that doesn’t have any distinct features to distract the viewer from the rest of your work. By developing your ability to draw a human face consistently, this class will help you to take your multi-media projects to the next level of professionalism.You will receive a booklet with the techniques and formulas for the face shape, eyes, nose, lips, hairline and ears. As well, you will receive a workbook for following along with the demos, and full of plenty of practice exercises to fine-tune your new skills in your free time this summer. The goal is to eventually memorize these basic formulas so you will be able to draw up a basic female face anywhere, anytime! as a self-taught home sewer as a way to make inexpensive surf trunks. Eventually he learned the art of patternmaking and began sewing professionally for a backpack company in Southern California. As well, he continued with apparel design by making special occasion dresses for private clientèle. After receiving a design degree from the Fashion Institute of Technology in NYC, he has continued working in the Outdoor Gear Industry, freelancing illustrations for fashion textbooks, producing special occasion dresses and one-of-a-kind prototypes for inventors.